A Few Words About Us: A dynamic and young company providing safe, reliable and comfortable Private transfers Services across the Algarve, Portugal and Spain. 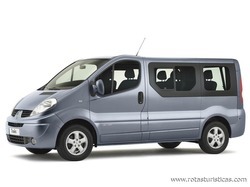 Based in the Algarve we are a full service Ground Transportation Company whose fleet consists of 8 seater minibuses as well as 6 seater vans all of which are equipped with air conditioning, baby and child seats and are always immaculate. Larger vehicles are also available as and when required. We cater to and from Airports, Restaurants, Attractions as well as other local and long distance destinations of your choice. Whether it be a straightforward or a more tailored journey you are after we can get you there. Professional, Punctual and Courteous, our drivers are English speaking, have extensive knowledge of the the Regions and come equipped with a sense of humour, making your journey a pleasurable experience to and from your destinations.